One of the things I love best about California is the bright color everywhere. The light is so beautiful it makes hues pop even more. 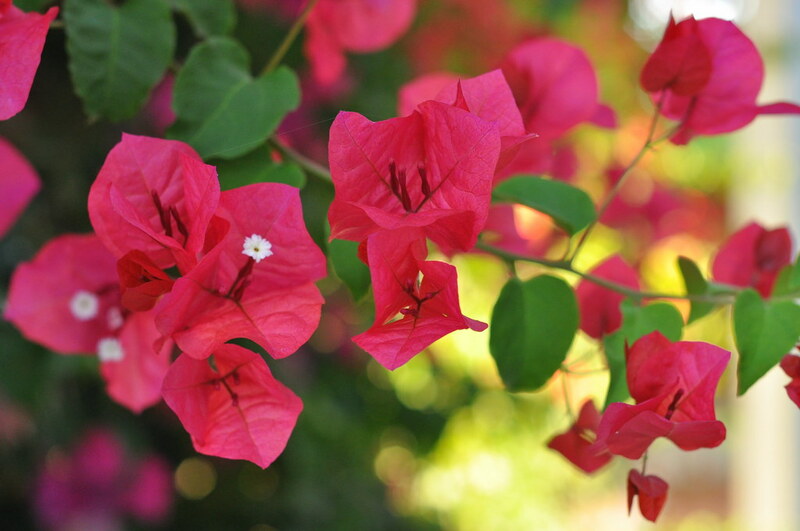 Bougainvillea is a huge favorite of mine. Pretty much maintenance-free once it’s established. This was taken at sunset. 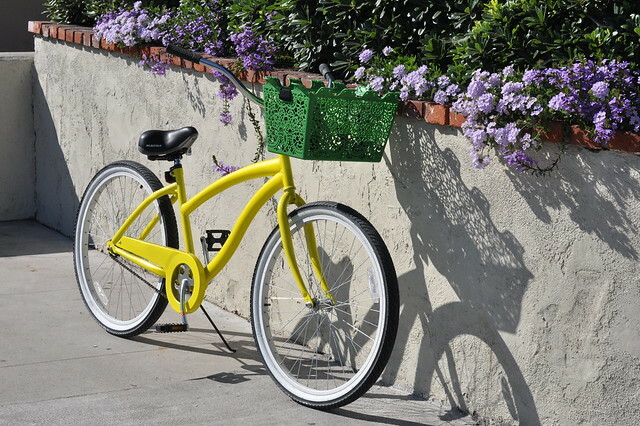 A beach cruiser in Laguna Beach. 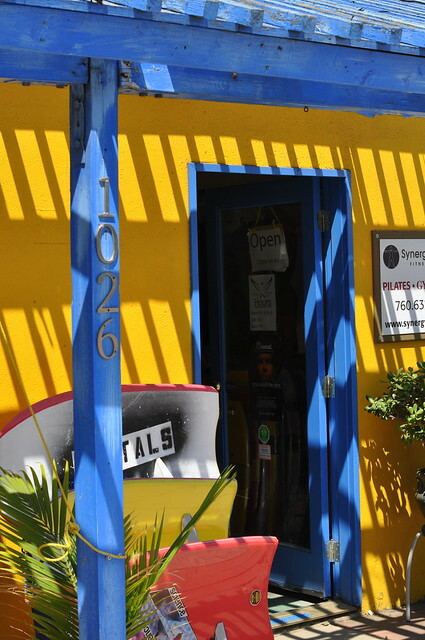 Blue and yellow fitness center in Leucadia. Would you believe an ashtray outside a club? 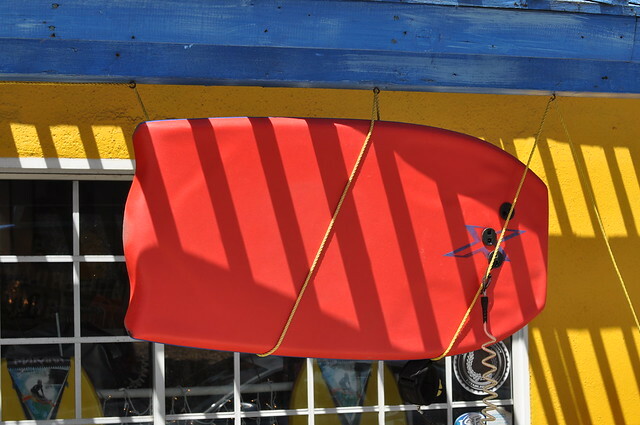 A boogie board hanging outside the fitness center. Hope everyone’s having a good Monday. I just found out this July was the hottest in D.C. history, sigh. Anyone else ready for fall? 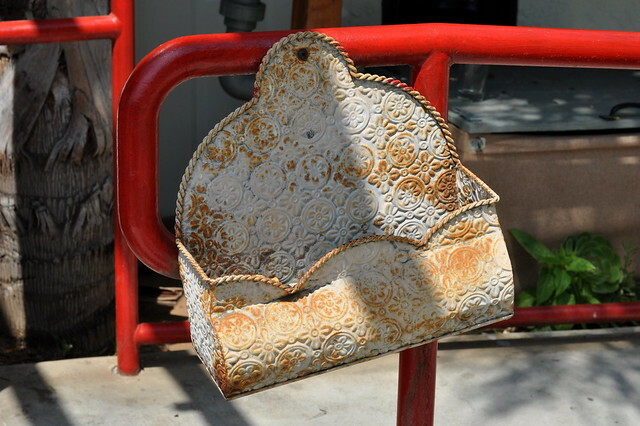 This entry was posted in photography and tagged beach cruiser, boogie board, bougainvillea, fitness center, red railings, Southern California, vintage ashtray. Bookmark the permalink. Love the bicycle. Reminds me of my first bike minus the ornate basket. Love all the vivid colors. I love Bougainvillea but we cannot have them here. It’s really not warm enough. After afew hot spring days we’ve had autumn days all along. Maybe August will be a bit warmer. I know I shouldn’t complain. It’s nicer than the heat you had. Yes, it’s a weird summer that Europe is having this year. I think I’d like to trade. We can’t grow bougainvillea here either. I bought some one year and put it on the deck for the summer, but forgot to bring it in before the frost. I, too, am drawn to the bright colors. They just sing “beach” to me. I grew up in Southern California. Thanks for a trip down memory lane. You’re welcome. I lived there for 10 years and miss it a lot. Now I can’t wait to see the pastels!